Dime-sized INS with RTK paves the way for high accuracy in mass-market consumer applications. 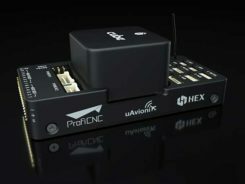 Inertial Sense has released a new micro-sized inertial navigation system (INS) with precise real-time-kinematic (RTK)-level accuracy. The company says the new solution paves the way for high accuracy in mass-market consumer applications. The new micro INS with RTK solution offers an accuracy of 2-3 centimeters using GPS positioning in combination with inertial sensors (including on-board sensor fusion). 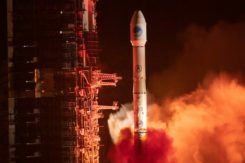 Inertial Sense designs and manufactures precision INS+RTK GPS sensors that deliver fast, accurate and reliable altitude, velocity and position for a wide range of autonomous vehicle applications, the company said. The new micro INS with RTK provides a high degree of precision for orientation and GPS in a tiny package. Standard INS/GPS sensors offer accuracy in the range of 1.5 to 2 meters. Inertial Sense’s micro INS with RTK offers accuracy of 2-3 centimeters. By optimizing the manufacturing processes for high volume applications, the micro INS with RTK sensor is as small and lightweight as a dime, and is available at a low price point. Sensor fusion. Sensor data from MEMs gyros, accelerometers, magnetometers, barometric pressure and u-blox GPS/GNSS are fused to provide optimal position estimation. Data out includes angular rate, linear acceleration, magnetic field, barometric altitude and GPS time. The miniature module provides orientation, velocity and position. Base station corrections data can be applied to achieve centimeter-level precision. Autonomous vehicles. The sensor will enable the navigation of all types of autonomous vehicles with a very high degree of precision, Inertial Sense said. Evaluation kits. Inertial Sense has bundled evaluation kits it says are simple to use and contain everything needed to begin logging RTK-accurate data. 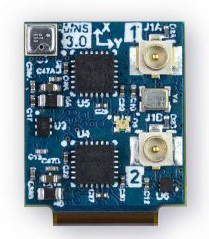 The evaluation boards can be utilized in both rover and base station configurations and include 900-mhz radios with onboard logging capabilities.